145. Xiao Yinglin; Zai Jiantao; Li Xiaomin; Gong Yong; Li Bo; Han Qianyan; Qian Xuefeng, Polydopamine functionalized graphene/NiFe2O4 nanocomposite with improving Li storage performances. Nano Energy 2014, doi: 10.1016/j.nanoen.2014.03.006. 144. Liang Na; Zai Jiantao; Xu Miao; Zhu Qi; Wei Xiao; Qian Xuefeng, Novel Bi2S3/Bi2O2CO3 heterojunction photocatalysts with enhanced visible light responsive activity and wastewater treatment. Journal of Materials Chemistry A 2014, 2 (12), 4208-4216. 143. Li Bo; Zai Jiantao; Xiao Yinglin; Han Qianyan; Qian Xuefeng, SnO2/C composites fabricated by Bio-templating method from cotton and their electrochemical performances. CrystEngComm 2014, doi: 10.1039/C3CE42659A. 142. Du Weimin; Zhu Zhaoqiang; Wang Yanbin; Liu Junning; Yang Wenjie; Qian Xuefeng; Pang Huan, One-step synthesis of CoNi2S4 nanoparticles for supercapacitor electrodes. Rsc Advances 2014, 4 (14), 6998-7002. 141. Du Weimin; Wang Zhiyong; Zhu Zhaoqiang; Hu Sen; Zhu Xiaoyan; Shi yunfeng; Pang Huan; Qian Xuefeng, Facile synthesis and superior electrochemical performances of CoNi2S4/graphene nanocomposite suitable for supercapacitor electrodes. Journal of Materials Chemistry A 2014 doi: 10.1039/C4TA00414K. 140. Zai Jiantao; Zhu Jun; Qi Rongrong; Qian Xuefeng, Nearly monodispersed In(OH)3 hierarchical nanospheres and nanocubes: tunable ligand-assisted synthesis and their conversion into hierarchical In2O3 for gas sensing. Journal of Materials Chemistry A 2013, 1 (3), 735-745. 139. Zai Jiantao; Yu Chao; Tao Liqi; Xu Miao; Xiao Yinglin; Li Bo; Han Qianyan; Wang Kaixue; Qian Xuefeng, Synthesis of Ni-doped NiO/RGONS nanocomposites with enhanced rate capabilities as anode materials for Li ion batteries. Crystengcomm 2013, 15 (34), 6663-6671. 138. Zai Jiantao; Chen Hongjin; Huang Chongwen; Huang Jie; Chen Fukun; Xu Miao; Qian Xuefeng, The fabrication of hollow cubic-like CuInS2 cages using Cu2O crystals as sacrificing template. Materials Chemistry and Physics 2013, 143 (1), 15-18. 137. Yi Ran; Zai Jiantao; Dai Fang; Gordin Mikhail L; Wang Donghai, Improved rate capability of Si–C composite anodes by boron doping for lithium-ion batteries. Electrochemistry Communications 2013, 36 (November 2013), 29-32. 136. Xiao Yinglin; Zai Jiantao; Tao Liqi; Li Bo; Han Qianyan; Yu Chao; Qian Xuefeng, MnFe2O4-graphene nanocomposites with enhanced performances as anode materials for Li-ion batteries. Physical Chemistry Chemical Physics 2013, 15 (11), 3939-3945. 135. Han Qianyan; Zai Jiantao; Xiao Yinglin; Li Bo; Xu Miao; Qian Xuefeng, Direct growth of SnO2 nanorods on graphene as high capacity anode materials for lithium ion batteries. Rsc Advances 2013, 3 (43), 20573-20578. 134. Du Weimin; Zhu Zhaoqiang; Zhang Xiaofen; Wang Dacheng; Liu Donghe; Qian Xuefeng; Du Jimin, RE/ZrO2 (RE = Sm, Eu) composite Oxide nano-materials: Synthesis and applications in photocatalysis. Materials Research Bulletin 2013, 48 (10), 3735-3742. 133. Du Weimin; Zhao Guoyan; Chang Hongxun; Shi Fei; Zhu Zhaoqiang; Qian Xuefeng, Photocatalytic studies of Ho-Zr-O nano-composite with controllable composition and defects. Materials Characterization 2013, 83, 178-186. 132. Du Weimin; Wang Xiehuan; Li Hui; Ma Ding; Hou Suhan; Zhang Jiangshan; Qian Xuefeng; Pang Huan, ZrO2/Dy2O3 Solid Solution Nano-Materials: Tunable Composition, Visible light-Responsive Photocatalytic Activities and Reaction Mechanism. Journal Of The American Ceramic Society 2013, 96 (9), 2979-2986. 131. Chen Fukun; Zai Jiantao; Xu Miao; Qian Xuefeng, 3D-hierarchical Cu3SnS4 Flowerlike Microspheres: Controlled Synthesis, Formation Mechanism and Photocatalytic Activity for H2 Evolution from Water. Journal of Materials Chemistry A 2013, 1 (13), 4316-4323. 130. Zai Jiantao; Yu Chao; Zou Qiong; Tao Liqi; Wang Kaixue; Han Qianyan; Li Bo; Xiao Yinglin; Qian Xuefeng; Qi Rongrong, Magnetite modified graphene nanosheets with improved rate performance and cyclic stability for Li ion battery anodes. Rsc Advances 2012, 2 (10), 4397-4403. 129. Zai Jiantao; Qian Xuefeng; Wang Kaixue; Yu Chao; Tao Liqi; Xiao Yinglin; Chen Jiesheng, 3D-hierarchical SnS2 micro/nano-structures: controlled synthesis, formation mechanism and lithium ion storage performances. Crystengcomm 2012, 14 (4), 1364-1375. 128. Yuan Yanping; Du Weimin; Qian Xuefeng, ZnxGa2O3+x (0 ≤x≤ 1) solid solution nanocrystals: tunable composition and optical properties. Journal Of Materials Chemistry 2012, 22 (2), 653-659. 127. Xu Miao. ; Zai Jiantao. ; Yuan Yanping; Qian Xuefeng., Band gap-tunable (CuIn)xZn2(1-x)S2 solid solutions: Preparation and efficient photocatalytic hydrogen production from water under visible light without noble metals. Journal Of Materials Chemistry 2012, 22 (45), 23929-23934. 126. Tao Liqi; Zai Jiantao; Wang Kaixue; Zhang Haojie; Xu Miao; Shen Jie; Su Yuezeng; Qian Xuefeng, Co3O4 nanorods/graphene nanosheets nanocomposites for lithium ion batteries with improved reversible capacity and cycle stability. Journal Of Power Sources 2012, 202, 230-235. 125. Tao Liqi; Zai Jiantao; Wang Kaixue; Wan Yihang; Zhang Haojie; Yu Chao; Xiao Yinglin; Qian Xuefeng, 3D-hierarchical NiO-graphene nanosheet composites as anodes for lithium ion batteries with improved reversible capacity and cycle stability. Rsc Advances 2012, 2 (8), 3410-3415. 124. Shen Jie. ; Zai Jiantao. ; Yuan Yanping. ; Qian Xuefeng., 3D hierarchical ZnIn2S4: The preparation and photocatalytic properties on water splitting. International Journal Of Hydrogen Energy 2012, 37 (22), 16986-16993. 123. 韩海波; 陈虹锦; 钱雪峰; 宰建陶, TiO_2 粉末多晶 X 射线衍射 Rietveld 全谱拟合定量相分析. 实验室研究与探索 2011, 30 (12), 34-37. 122. Zou Q.; Zai J. T.; Liu P.; Qian X. F., Synthesis and lithium storage properties of hollow Fe2O3/graphene nanocomposites. Chemical Journal of Chinese Universities 2011, 32 (3), 630-634. 121. Zhao T. Y.; Zai J. T.; Xu M.; Zou Q.; Su Y. Z.; Wang K. X.; Qian X. F., Hierarchical Bi2O2CO3 microspheres with improved visible-light-driven photocatalytic activity. Crystengcomm 2011, 13 (12), 4010-4017. 120. Zai Jiantao. ; Wang Kaixue. ; Su Yuezeng. ; Qian Xuefeng. ; Chen Jiesheng., High stability and superior rate capability of three-dimensional hierarchical SnS2 microspheres as anode material in lithium ion batteries. Journal Of Power Sources 2011, 196 (7), 3650-3654. 119. Yuan Y. P.; Zai J. T.; Su Y. Z.; Qian X. F., Controlled synthesis of monodispersed AgGaS2 3D nanoflowers and the shape evolution from nanoflowers to colloids. Journal Of Solid State Chemistry 2011, 184 (5), 1227-1235. 118. HAN Hai-bo; CHEN Hong-jin; QIAN Xue-feng; ZAI Jian-tao, X-Ray Quantitative Analysis of TiO_2 Using Rietveld Whole Pattern Fitting Method. Research and Exploration in Laboratory 2011, 12, 012. 117. Gui Y.; Qian L.; Qian X., Hydrothermal synthesis of uniform rock salt (α-) MnS transformation from wurtzite (γ-) MnS. Materials Chemistry and Physics 2011, 125 (3), 698-703. 116. Du W.; Deng D.; Han Z.; Xiao W.; Bian C.; Qian X., Hexagonal tin disulfide nanoplatelets: A new photocatalyst driven by solar light. Crystengcomm 2011, 13 (6), 2071-2076. 115. Zhu Jun; Qian Xuefeng, Oriented-aggregation of organic organization: Morphology-controllable synthesis, surface photovoltage spectroscopy and morphology-dependent optical property. Solid State Sciences 2010, 12 (8), 1314-1322. 114. Zhu Jun; Qian Xuefeng, From 2-D CuO nanosheets to 3-D hollow nanospheres: interface-assisted synthesis, surface photovoltage properties and photocatalytic activity. Journal Of Solid State Chemistry 2010, 183 (7), 1632-1639. 113. Qian Liwu; Zai Jiantao; Chen Zhu; Zhu Jun; Yuan Yanping; Qian Xuefeng, Control of the morphology and composition of yttrium fluoride via a salt-assisted hydrothermal method. Crystengcomm 2010, 12 (1), 199-206. 112. Chen Z.; Qian L.; Zhu J.; Yuan Y.; Qian X., Controlled synthesis of hierarchical Bi2WO6 microspheres with improved visible-light-driven photocatalytic activity. Crystengcomm 2010, 12 (7), 2100-2106. 111. Chen Hongjin; Li Mei; Ma Li; Liang Zhumei; Zhao Hong; Qian Xuefeng, Improving research-oriented learning through undergraduate research. Abstracts of Papers of the American Chemical Society 2010, 239. 110. Zeng Ke; Wang Lei; Zheng Sixun; Qian Xuefeng, Self-assembly behavior of hepta(3,3,3-trifluoropropyl) polyhedral oligomeric silsesquioxane-capped poly(epsilon-caprolactone) in epoxy resin: Nanostructures and surface properties. Polymer 2009, 50 (2), 685-695. 109. Qian Liwu; Zhu Jun; Du Weimin; Qian Xuefeng, Solvothermal synthesis, electrochemical and photocatalytic properties of monodispersed CeO2 nanocubes. Materials Chemistry and Physics 2009, 115 (2-3), 835-840. 108. Qian L.; Zhu J.; Chen Z.; Gui Y.; Gong Q.; Yuan Y.; Zai J.; Qian X., Self-assembled heavy lanthanide orthovanadate architecture with controlled dimensionality and morphology. Chemistry - A European Journal 2009, 15 (5), 1233-1240. 107. Qian L.; Zai J.; Chen Z.; Zhu J.; Yuan Y.; Qian X., Control of the morphology and composition of yttrium fluoride via a salt-assisted hydrothermal method. Crystengcomm 2009, 12 (1), 199-206. 106. Qian Liwu; Gui Yicai; Guo Shuai; Qiang Gong; Qian Xuefeng, Controlled synthesis of light rare-earth hydroxide nanorods via a simple solution route. Journal Of Physics and Chemistry Of Solids 2009, 70 (3-4), 688-693. 105. Qian Liwu; Diu Weiming; Gong Qiang; Qian Xuefeng, Controlled synthesis of light rare earth phosphate nanowires via a simple solution route. Materials Chemistry and Physics 2009, 114 (1), 479-484. 104. Mo Mao-Song; Wang Debao; Du Xusheng; Ma Jun; Qian Xuefeng; Chen Dapeng; Qian Yitai, Engineering of Nanotips in ZnO Submicrorods and Patterned Arrays. Crystal Growth & Design 2009, 9 (2), 797-802. 103. Gui Yi-Cai; Qian Li-Wu; Qian Xue-Feng, Nanometer MnO2: Hydrothermal Synthesis and Effect of Salt Modifiers on Polymorph & Morphology. Chinese Journal Of Inorganic Chemistry 2009, 25 (4), 668-673. 102. Chen Z.; Gong Q.; Zhu J.; Yuan Y. P.; Qian L. W.; Qian X. F., Controllable synthesis of hierarchical nanostructures of CaWO4 and SrWO4 via a facile low-temperature route. Materials Research Bulletin 2009, 44 (1), 45-50. 101. Zhu Jun; Qian Xuefeng, Necklace-like nanostructures of cadmium hydroxide: Controlled synthesis with bubble-template and its separation property on dye. Solid State Sciences 2008, 10 (11), 1577-1583. 100. Xu Shaohua; Qian Xuefeng; Li Gang, Size and morphology-controlled Ni-2 Fe(CN)(6) center dot xH(2)O Prussian Blue analogue fabricated via a hydrothermal route. Materials Research Bulletin 2008, 43 (1), 135-140. 99. Xie Qijia; Chen Shixiu; Yan Guozhi; Xia Changzheng; Guan Genzhi; Qian Xuefeng; Cao Liang; Liu Rongjian; Ieee, Research on Mechanism of Microwave Radiating from Vacuum Arc. 2008; p 412-414. 98. Du W.; Zhu J.; Li S.; Qian X., Ultrathin β-In2S3 nanobelts: Shape-controlled synthesis and optical and photocatalytic properties. Crystal Growth and Design 2008, 8 (7), 2130-2136. 97. Shao Huafeng; Qian Xuefeng; Huanga Baochen, Novel growth of ZnO micro-rod arrays using hydrophobically micropatterned surfaces. Materials Science In Semiconductor Processing 2007, 10 (2-3), 68-76. 96. Shao Huafeng; Qian Xuefeng; Huang Baochen, Fabrication of single-crystal ZnO nanorods and ZnS nanotubes through a simple ultrasonic chemical solution method. Materials Letters 2007, 61 (17), 3639-3643. 95. Li Mei; Lu Qinghua; Nuli Yanna; Qian Xuefeng, Core-shell and hollow microspheres composed of tin oxide nanocrystals as anode materials for lithium-ion batteries. Electrochemical and Solid State Letters 2007, 10 (8), K33-K37. 94. Gong Qiang; Qian Xuefeng; Zhou Pingle; Yu Xibin; Du Weimin; Xu Shaohua, In situ sacrificial template approach to the synthesis of octahedral CdS microcages. Journal of Physical Chemistry C 2007, 111 (5), 1935-1940. 93. Du W.; Qian X.; Yin J.; Gong Q., Shape- and phase-controlled synthesis of monodisperse, single-crystalline ternary chalcogenide colloids through a convenient solution synthesis strategy. Chemistry-a European Journal 2007, 13 (31), 8840-8846. 92. Du Weimin; Qian Xuefeng; Niu Xinshu; Gong Qiang, Symmetrical six-horn nickel diselenide nanostars growth from oriented attachment mechanism. Crystal Growth & Design 2007, 7 (12), 2733-2737. 91. Du Weimin; Qian Xuefeng; Ma Xiaodong; Gong Qiang; Cao Hongliang; Yin He, Shape-controlled synthesis and self-assembly of hexagonal covellite (CuS) nanoplatelets. Chemistry-a European Journal 2007, 13 (11), 3241-3247. 90. Cao H.; Gong Q.; Qian X.; Wang H.; Zai J.; Zhu Z., Synthesis of 3-D hierarchical dendrites of lead chalcogenides in large scale via microwave-assistant method. Crystal Growth and Design 2007, 7 (2), 425-429. 89. Zeng W.; Wang Z.; Qian X. F.; Yin J.; Zhu Z. K., ZnO clusters in situ generated inside mesoporous silica. Materials Research Bulletin 2006, 41 (6), 1155-1159. 88. Zeng W.; Qian X. F.; Yin J.; Zhu Z. K., The drug delivery system of MCM-41 materials via co-condensation synthesis. Materials Chemistry and Physics 2006, 97 (2-3), 437-441. 87. Gong Qiang; Qian Xuefeng; Ma Xiaodong; Zhu Zikang, Large-scale fabrication of novel hierarchical 3D CaMoO4 and SrMoO4 mesocrystals via a microemulsion-mediated route. Crystal Growth & Design 2006, 6 (8), 1821-1825. 86. Gong Qiang; Qian Xuefeng; Cao Hongliang; Du Weimin; Ma Xiaodong; Ma Maosong, Novel shape evolution of BaMoO4 microcrystals. Journal Of Physical Chemistry B 2006, 110 (39), 19295-19299. 85. Gong Qiang; Li Gang; Qian Xuefeng; Cao Hongliang; Du Weimin; Ma Xiaodong, Synthesis of single crystal CdMoO4 octahedral microparticles via microemulsion-mediated route. Journal Of Colloid and Interface Science 2006, 304 (2), 408-412. 84. Cao H. L.; Qian X. F.; Gong Q.; Du W. M.; Ma X. D.; Zhu Z. K., Shape- and size-controlled synthesis of nanometre ZnO from a simple solution route at room temperature. Nanotechnology 2006, 17 (15), 3632-3636. 83. Cao Hongliang; Qian Xuefeng; Zai Jiantao; Yin Jie; Zhu Zikang, Conversion of Cu2O nanocrystals into hollow Cu2-xSe nanocages with the preservation of morphologies. Chemical Communications 2006, (43), 4548-4550. 82. Zhang Y. B.; Shao H. F.; Qian X. F.; Zhu Z. K., Preparation of uniform cadmium sulfide spheres and their controllable morphology. Journal Of Inorganic Materials 2005, 20 (3), 575-579. 81. Zeng W.; Qian X. F.; Zhang Y. B.; Yin J.; Zhu Z. K., Organic modified mesoporous MCM-41 through solvothermal process as drug delivery system. Materials Research Bulletin 2005, 40 (5), 766-772. 80. Wang Z.; Qian X. F.; Li Y.; Yin J.; Zhu Z. K., Large-scale synthesis of tube-like ZnS and cable-like ZnS-ZnO arrays: Preparation through the sulfuration conversion from ZnO arrays via a simple chemical solution route. Journal Of Solid State Chemistry 2005, 178 (5), 1589-1594. 79. Shao H. F.; Zhang Y. B.; Qian X. F.; Yin J.; Zhu Z. K., Preparation of rod-shape PbSO4 nanocrystal and its phase transition to PbS. Materials Letters 2005, 59 (27), 3507-3513. 78. Shao H. F.; Qian X. F.; Zhu Z. K., The synthesis of ZnS hollow nanospheres with nanoporous shell. Journal Of Solid State Chemistry 2005, 178 (11), 3522-3528. 77. Shao H. F.; Qian X. F.; Yin J.; Zhu Z. K., Controlled morphology synthesis of beta-FeOOH and the phase transition to Fe2O3. Journal Of Solid State Chemistry 2005, 178 (10), 3130-3136. 76. Li Z.; Qian X. F.; Yin J.; Zhu Z. K., Gold tubes membrane with novel morphology replicated from ZnO template. Journal Of Solid State Chemistry 2005, 178 (6), 1765-1772. 75. Li Z.; Li Y.; Qian X. F.; Yin J.; Zhu Z. K., A simple method for selective immobilization of silver nanoparticles. Applied Surface Science 2005, 250 (1-4), 109-116. 74. Li Y.; Chen D. S.; Lu Q. H.; Qian X. F.; Zhu Z. K.; Yin J., Selective electroless deposition of copper on polyimide surface by microcontact printing. Applied Surface Science 2005, 241 (3-4), 471-476. 73. Cao H.; Qian X.; Wang C.; Ma X.; Yin J.; Zhu Z., High symmetric 18-facet polyhedron nanocrystals of Cu7S4 with a hollow nanocage. Journal Of The American Chemical Society 2005, 127 (46), 16024-16025. 72. Zhang Y. B.; Shao H. F.; Qian X. F.; Yin J.; Zhu Z. K., A new technique for preparing macroporous inorganic composite material. Journal Of Solid State Chemistry 2004, 177 (10), 3675-3681. 71. Zhang Y. B.; Qian X. F.; Xi H. A.; Yin J.; Zhu Z. K., Preparation of polystyrene core-mesoporous silica nanoparticles shell composite. Materials Letters 2004, 58 (1-2), 222-225. 70. Zhang Y. B.; Qian X. F.; Li Z. K.; Yin J.; Zhu Z. K., Synthesis of novel mesoporous silica spheres with starburst pore canal structure. Journal Of Solid State Chemistry 2004, 177 (3), 844-848. 69. Yin J. L.; Qian X. F.; Yin J.; Zhang Y. B.; Zhang J. C.; Shi M. W.; Zhou G. T., Aqueous route to prepare large-scale array of highly ordered polystyrene/aluminum hydroxide microspheres. Journal Of Solid State Chemistry 2004, 177 (10), 3603-3609. 68. Wu M. D.; Pan X. X.; Qian X. F.; Yin J.; Zhu Z. K., Solution-phase synthesis of Ag2S hollow and concave nanocubes. Inorganic Chemistry Communications 2004, 7 (3), 359-362. 67. Wang Z.; Qian X. F.; Yin J.; Zhu Z. K., Large-scale fabrication of tower-like, flower-like, and tube-like ZnO arrays by a simple chemical solution route. Langmuir 2004, 20 (8), 3441-3448. 66. Wang Z.; Qian X. F.; Yin J.; Zhu Z. K., Aqueous solution fabrication of large-scale arrayed obelisk-like zinc oxide nanorods with high efficiency. Journal Of Solid State Chemistry 2004, 177 (6), 2144-2149. 65. Wang H. L.; Ma X. D.; Qian X. F.; Yin J.; Zhu Z. K., Selective synthesis of CdWO4 short nanorods and nanofibers and their self-assembly. Journal Of Solid State Chemistry 2004, 177 (12), 4588-4596. 64. Ma W. Z.; Qian X. F.; Yin J.; Zhu Z. K., Preparation and characterization of hollow superparamagnetic Fe3O4 nanospheres. Journal Of Inorganic Materials 2004, 19 (6), 1407-1410. 63. Li Y.; Wang Z.; Ma X. D.; Qian X. F.; Yin J.; Zhu Z. K., Large-scale CdX (X=S, Se) microtube arrays on glass substrate: transformation of CdOHCl microrod arrays by a simple template-sacrificing solution method. Journal Of Solid State Chemistry 2004, 177 (12), 4386-4393. 62. Li Y.; Lu Q. H.; Qian X. F.; Zhu Z. K.; Yin J., Preparation of surface bound silver nanoparticles on polyimide by surface modification method and its application on electroless metal deposition. Applied Surface Science 2004, 233 (1-4), 299-306. 61. Yin J. L.; Qian X. F.; Yin J.; Shi M. W.; Zhou G. T., Preparation of ZnS/PS microspheres and ZnS hollow shells. Materials Letters 2003, 57 (24-25), 3859-3863. 60. Yin J. L.; Qian X. F.; Yin H.; Shi M. W.; Zhang H. C.; Zhou G. T., Preparation of polystyrene/zirconia core-shell microspheres and zirconia hollow shells. Inorganic Chemistry Communications 2003, 6 (7), 942-945. 59. Yin J. L.; Chen H. J.; Li Z. K.; Qian X.; Yin J.; Shi M. W.; Zhou G. T., Preparation of PS/TiO2 core-shell microspheres and TiO2 hollow shells. Journal Of Materials Science 2003, 38 (24), 4911-4916. 58. Yan Y. L.; Qian X. F.; Yin J.; Zhu Z. K., Novel complex-assisted photochemical route to the phase control of nanocrystalline copper selenide. Journal Of Materials Science Letters 2003, 22 (24), 1801-1803. 57. Yan Y. L.; Qian X. F.; Yin J.; Zhu Z. K., Preparation and characterization of Cu2-xSe nanocrystals by trisodium citrate-assisted photochemical route. Chinese Journal Of Inorganic Chemistry 2003, 19 (10), 1133-1136. 56. Yan Y. L.; Qian X. F.; Xu H. J.; Yin J.; Zhu Z. K., A novel solid-liquid route for the preparation of Cu3Se2 and Ag2Se nanocrystals. Inorganic Chemistry Communications 2003, 6 (1), 34-37. 55. Yan Y. L.; Li Y.; Qian X. F.; Yin J.; Zhu Z. K., Preparation and characterization of CdSe nanocrystals via Na2SO3-assisted photochemical route. Materials Science and Engineering B-Solid State Materials for Advanced Technology 2003, 103 (2), 202-206. 54. Xi H. G.; Wang B. H.; Zhang Y. B.; Qian X. F.; Yin J.; Zhu Z. K., Spectroscopic studies on conjugated polymers in channels: influence of polymer side-chain mesoporous length. Journal Of Physics and Chemistry Of Solids 2003, 64 (12), 2451-2455. 53. Xi H. G.; Qian X. F.; Yin J.; Bian L. J.; He R.; Zhu Z. K., Photoluminescence of ZnS-PVK nanocomposites confined in ethylenediamine modified MCM-41. Materials Letters 2003, 57 (18), 2657-2661. 52. Wang Bao-hu; Xi Hong-An; Yin Jie; Qian Xue-Feng; Zhu Zi-Kang, Molecular orbital confinement effect of mesoporous silica of MCM-41 on conjugated polymer. Synthetic Metals 2003, 139 (1), 187-190. 51. Lu H. W.; Liu S. H.; Wang X. L.; Qian X. F.; Yin J.; Zhu Z. K., Silver nanocrystals by hyperbranched polyurethane-assisted photochemical reduction of Ag+. Materials Chemistry and Physics 2003, 81 (1), 104-107. 50. Liu S. H.; Qian X. F.; Yuan J. Y.; Yin J.; He R.; Zhu Z. K., Synthesis of monodispersed CdSe nanocrystals in poly(styrene-alt-maleic anhydride) at room temperature. Materials Research Bulletin 2003, 38 (8), 1359-1366. 49. Liu S. H.; Qian X. F.; Yin J.; Xi H. A.; Huang Z. H.; Zhu Z. K., Fabrication of CdS nanocrystals embedded in copolymer matrix by an in situ simultaneous copolymerization-sulfidation technique. Materials Science and Engineering B-Solid State Materials for Advanced Technology 2003, 98 (2), 99-103. 48. Liu S. H.; Qian X. F.; Yin J.; Ma X. D.; Yuan J. Y.; Zhu Z. K., Preparation and characterization of polymer-capped CdS nanocrystals. Journal Of Physics and Chemistry Of Solids 2003, 64 (3), 455-458. 47. Liu S. H.; Qian X. F.; Yin J.; Lu H. W.; Zhu Z. K., Room temperature synthesis of PbS nanocrystals with different morphologies in PEO-PPO-PEO triblock copolymers. Materials Science and Engineering B-Solid State Materials for Advanced Technology 2003, 100 (3), 314-317. 46. Liu S. H.; Lu H. W.; Qian X. F.; Yin J.; Zhu Z. K., Synthesis of beltlike CdS nanocrystals via solvothermal route. Journal Of Solid State Chemistry 2003, 172 (2), 480-484. 45. Li Z. K.; Xi H. A.; Qian X. F.; Yin J.; Zhu Z. K., Morphological control of mesoporous silica in a base condition. Journal Of Inorganic Materials 2003, 18 (5), 1102-1106. 44. He R.; Qian X. F.; Yin J.; Zhu Z. K.; Wang H. L., Formation of silver nanoprisms and their optical properties. Chemical Journal Of Chinese Universities-chinese 2003, 24 (8), 1341-1345. 43. He R.; Qian X. F.; Yin J.; Zhu Z. K., Preparation of Bi2S3 nanowhiskers and their morphologies. Journal Of Crystal Growth 2003, 252 (4), 505-510. 42. He R.; Qian X. F.; Yin J.; Zhu Z. K., Formation of silver dendrites under microwave irradiation. Chemical Physics Letters 2003, 369 (3-4), 454-458. 41. He R.; Qian X. F.; Yin J.; Xi H. A.; Bian L. J.; Zhu Z. K., Formation of monodispersed PVP-capped ZnS and CdS nanocrystals under microwave irradiation. Colloids and Surfaces A-physicochemical and Engineering Aspects 2003, 220 (1-3), 151-157. 40. He R.; Qian X. F.; Yin J.; Bian L. J.; Xi H. A.; Zhu Z. K., In situ synthesis of CdS/PVK nanocomposites and their optical properties. Materials Letters 2003, 57 (7), 1351-1354. 39. Bian L. J.; Qian X. F.; Yin J.; Zhu Z. K.; Lu Q. H., Preparation and luminescence properties of the PMMA/SiO2/EuL3 center dot 2H(2)O hybrids by a sol-gel method. Materials Science and Engineering B-Solid State Materials for Advanced Technology 2003, 100 (1), 53-58. 38. Xi H. G.; Zhang Y. B.; Li Z. K.; Qian X. F.; Yin J.; Zhu Z. K., Photophysical properties of poly(N-vinylcarbazole) in the meso-channels of zeolite MCM-41. Journal Of Materials Science Letters 2002, 21 (23), 1817-1818. 37. Ma X. D.; Qian X. F.; Yin J.; Zhu Z. K., Preparation and characterization of polyvinyl alcohol-selenide nanocomposites at room temperature. Journal Of Materials Chemistry 2002, 12 (3), 663-666. 36. Ma X. D.; Qian X. F.; Yin J.; Xi H. A.; Zhu Z. K., Preparation and characterization of polyvinyl alcohol-capped CdSe nanoparticles at room temperature. Journal Of Colloid and Interface Science 2002, 252 (1), 77-81. 35. Liu S. H.; Qian X. F.; Yin J.; Hong L.; Wang X. L.; Zhu Z. K., Synthesis and characterization of Ag2S nanocrystals in hyperbranched polyurethane at room temperature. Journal Of Solid State Chemistry 2002, 168 (1), 259-262. 34. Li L.; Lu Q. H.; Yin J.; Qian X. F.; Wang W. K.; Zhu Z. K.; Wang Z. G., Photosensitive polyimide (PSPI) materials containing inorganic nano particles (I)PSPL/TiO2 hybrid materials by sol-gel process. Materials Chemistry and Physics 2002, 74 (2), 210-213. 33. He R.; Qian X. F.; Yin J.; Zhu Z. K., Preparation of polychrome silver nanoparticles in different solvents. Journal Of Materials Chemistry 2002, 12 (12), 3783-3786. 32. Bian L. J.; Xi H. A.; Qian X. F.; Yin J.; Zhu Z. K.; Lu Q. H., Synthesis and luminescence property of rare earth complex nanoparticles dispersed within pores of modified mesoporous silica. Materials Research Bulletin 2002, 37 (14), 2293-2301. 31. Bian L. J.; Qian X. F.; Yin J.; Zhu Z. K.; Lu Q. H., EU3+ complex/polyimide nanocomposites: Improvement in mechanical and thermal properties. Journal Of Applied Polymer Science 2002, 86 (11), 2707-2712. 30. 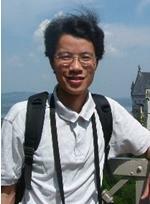 Bian L. J.; Qian X. F.; Yin J.; Lu Q. H.; Liu L.; Zhu Z. K., Preparation and properties of rare earth oxide/polyimide hybrids. Polymer Testing 2002, 21 (7), 841-845. 29. Sun Y. Y.; Qian X. F.; Yin J.; Huang J. C.; Ma X. D.; Zhu Z. K., Preparation and characterization of nanocrystalline PbSe in poly(acrylic acid-co-styrene). Journal Of Materials Research 2001, 16 (10), 2922-2927. 28. Qian X. F.; Yin J.; Yang Y. F.; Lu Q. H.; Zhu Z. K.; Lu J., Polymer-inorganic nanocomposites prepared by hydrothermal method: Preparation and characterization of PVA-transition-metal sulfides. Journal Of Applied Polymer Science 2001, 82 (11), 2744-2749. 27. Qian X. F.; Yin J.; Huang J. C.; Yang Y. F.; Guo X. X.; Zhu Z. K., The preparation and characterization of PVA/Ag2S nanocomposite. Materials Chemistry and Physics 2001, 68 (1-3), 95-97. 26. Qian X. F.; Yin J.; Feng S.; Liu S. H.; Zhu Z. K., Preparation and characterization of polyvinylpyrrolidone films containing silver sulfide nanoparticles. Journal Of Materials Chemistry 2001, 11 (10), 2504-2506. 25. Qian X. F.; Xie Y.; Qian Y. T., Solventothermal synthesis and morphological control of nanocrystalline FeS2. Materials Letters 2001, 48 (2), 109-111. 24. Huang J. C.; Zhu Z. K.; Yin J.; Zhang D. M.; Qian X. F., Preparation and properties of rigid-rod polyimide/silica hybrid materials by sol-gel process. Journal Of Applied Polymer Science 2001, 79 (5), 794-800. 23. Huang J. C.; Zhu Z. K.; Yin J.; Qian X. F.; Sun Y. Y., Poly(etherimide)/montmorillonite nanocomposites prepared by melt intercalation: morphology, solvent resistance properties and thermal properties. Polymer 2001, 42 (3), 873-877. 22. Huang J. C.; Zhu Z. K.; Ma X. D.; Qian X. F.; Yin J., Preparation and properties of montmorillonite/organo-soluble polyimide hybrid materials prepared by a one-step approach. Journal Of Materials Science 2001, 36 (4), 871-877. 21. Huang J. C.; Qian X. F.; Yin J.; Zhu Z. K.; Xu H. J., Preparation of soluble polyimide-silver nanocomposites by a convenient ultraviolet irradiation technique. Materials Chemistry and Physics 2001, 69 (1-3), 172-175. 20. Qian X. F.; Yin J.; Guo X. X.; Yang Y. F.; Zhu Z. K.; Lu J., Polymer-inorganic nanocomposites prepared by hydrothermal method: PVA/ZnS, PVA/CdS, preparation and characterization. Journal Of Materials Science Letters 2000, 19 (24), 2235-2237. 19. Qian X. F.; Li Y. D.; Xie Y.; Qian Y. T., The synthesis and morphological control of nanocrystalline pyrite nickel disulfide and cobalt disulfide. Materials Chemistry and Physics 2000, 66 (1), 97-99. 18. Huang J. C.; Zhu Z. K.; Qian X. F.; Yin J., MnO2/polyimide hybrid materials prepared with a convenient ultraviolet irradiation technique. Materials Research Bulletin 2000, 35 (14-15), 2309-2315. 13. Wang C., Qian X. F., Zhang X. M., Zhang W. X., Xie Y., Qian Y. T., A new chemical route to prepare nanocrystalline cobalt monoarsenide, Mater. Res. Bull., 1999, 34, 1129-1133. 1. Qian X. F., Xie Y., Qian Y. T., Zhang X. M., Wang W. Z., Yang L., Organo-thermal preparation of nanocrystalline cobalt phosphides, Mater. Sci. & Eng. B 1997, 49, 135-137.